More than 6,000 VIP guests will join the Volvo Ocean Race in Sanya, China for the weekend of February 17-19 in the largest programme of its kind in the 39-year history of sailing’s famed round the world yacht race. 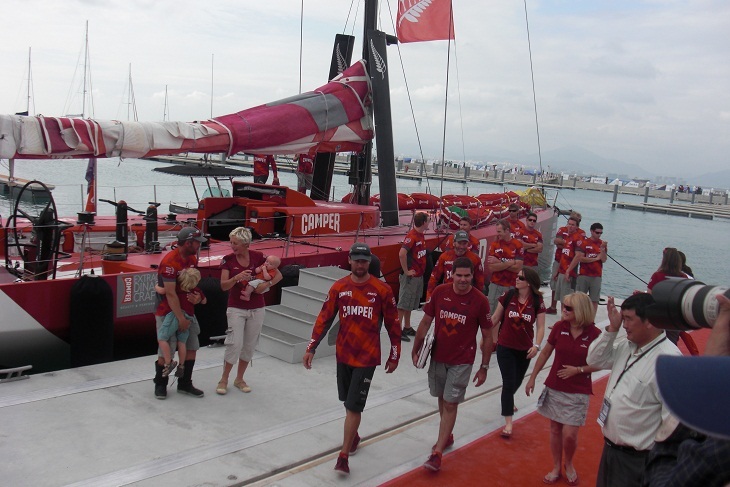 In total, local organisers expect tens of thousands of fans to pack the Race Village at Sanya’s Serenity Marina to watch the Pro-Am Race on Friday, the Sanya Haitang Bay In-Port Race on Saturday and the Start of Leg 4 to Auckland on Sunday. Of those, a significant number will be the invited guests of organisers, teams, partners and sponsors, many of them coming from China and other parts of Asia and all taking advantage of the unique environment offered by the race. Many of those invited to Sanya will get a chance to experience the races up close by watching from spectator boats on the water or, even better, competing on one of the six Volvo Open 70 yachts in the Pro-Am Race on Friday. There are even places available for a small number of guests on the boats on Saturday in the points-scoring In-Port Race itself, putting VVIPs at the heart of the competitive action in a way no other top line sport can match. 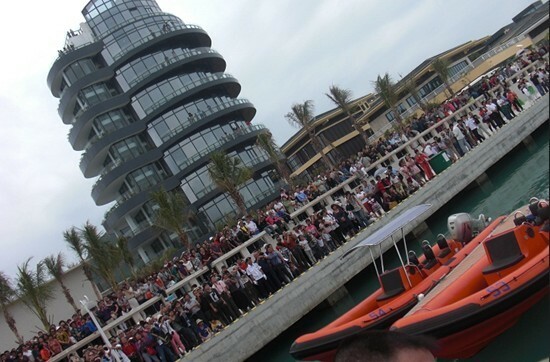 Sanya Serenity Marina will receive more than 6,000 VIP guests who joins the Volvo Ocean Race this weekend. This is the second time the race has come to China, after Qingdao in 2008-09, and the country is now at the heart of the race, according to Volvo Ocean Race CEO Knut Frostad. "China has become a real hot spot and makes the perfect stopover base for the Volvo Ocean Race on so many fronts," said Volvo Ocean Race CEO Knut Frostad. "The number of guests coming illustrates just how important the country has become for our stakeholders. "The chance for businesses to develop personal relationships with clients in an environment like this, out on the water, in a relaxed atmosphere over several hours, is very valuable." Some 5,000 guests have been invited by Volvo Group and Volvo Car Corporation, who together reaffirmed their long-term commitment to the Volvo Ocean Race before the start of the current edition in Alicante in October last year. 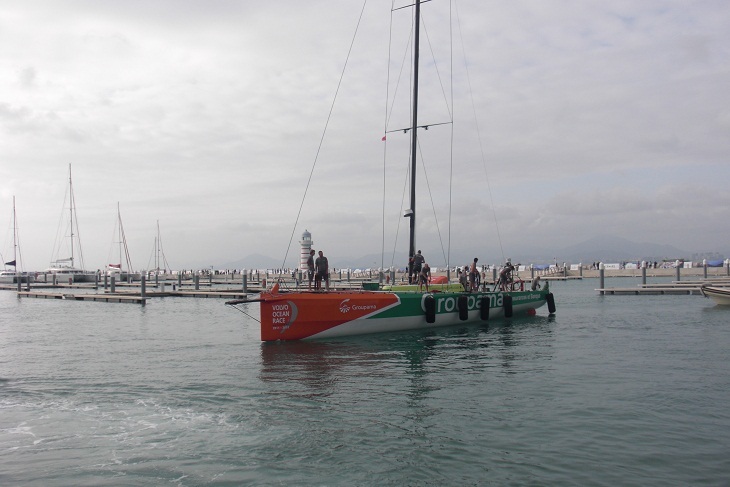 The 12th edition of the Volvo Ocean Race will start from Alicante once again in 2014-15, the two companies confirmed. For Volvo Car Corporation, which is owned by China’s Zhejiang Geely Holding Group, the presence of the race in Sanya is key. "China is of incredible importance to us," said Karin Bäcklund, Director of Global Sponsorship for Volvo Cars. "China has gone from being number 20 in terms of our biggest markets a couple of years ago to number four currently and it will be number one in a year or two. 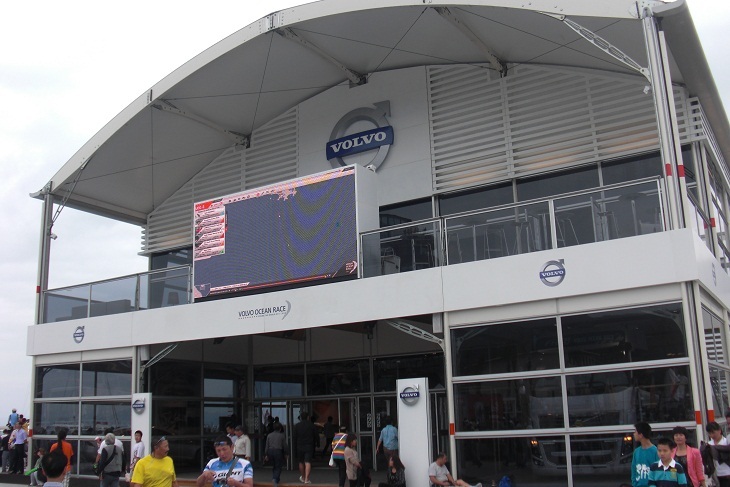 "This event gives us a chance to show customers and clients an experience no one else can, while the number of fans who come through the Race Village and get close to Volvo cars, many of them for the first time, is very significant. Last time the Race Villages clocked up almost four million visits and people come away with a very positive view of Volvo. "The media too see this is a major sporting event and the sheer scale of what we have here impresses everyone. There’s unbelievable value to us being in the race and we see that value really clearly here in China." Those views were echoed by Sven Österberg, General Manager of Event Management at Sweden-based Volvo Group, for whom China is becoming an ever more important market. "We will have almost 4,000 guests, which is a record," said Österberg. "Normally we have around 1,000 or 1,500 in Alicante (at the race start). 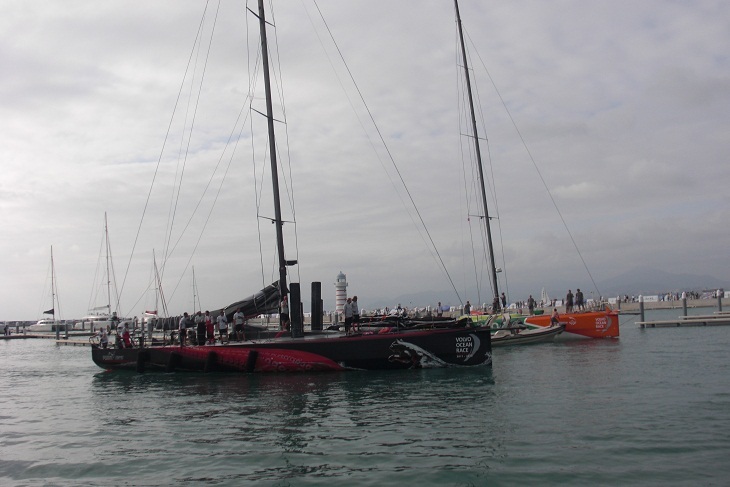 "It’s very important to meet customers in this brilliant, vibrant environment over three days with a mix of business, leisure and the very special Volvo Ocean Race sailing experience. "Building the brand is important but for us it’s really about building relationships." 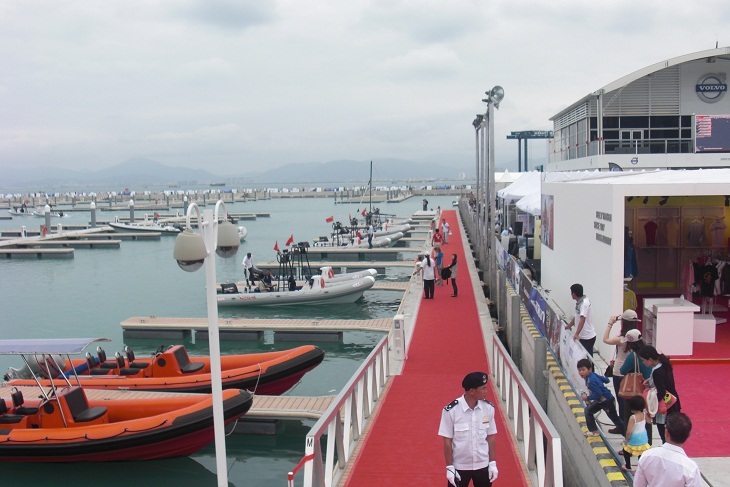 Sanya Serenity Marina is the first world class marina on Hainan Island and unique in China. 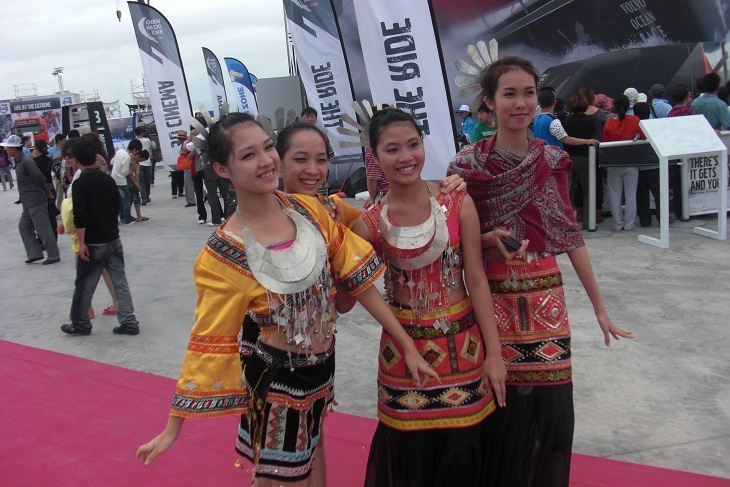 Sanya, China’s southernmost city and an increasingly popular tourist destination, is the fourth of 10 host ports in the current race, which started back in October 2011 in Alicante, Spain and will run until Galway, Ireland in July. This year the race is coming to China from its first Middle East stop in Abu Dhabi and with host ports in five continents the global nature of the event is being strengthened. The largest cheers over the weekend will come for Team Sanya, the first sole Chinese entry in the history of an event that began life as the Whitbread Round the World Race in 1973. Team Telefónica lead the standings ahead of CAMPER with Emirates Team New Zealand, Groupama sailing Team, PUMA Ocean Racing powered by BERG, Abu Dhabi Ocean Racing and Team Sanya. The Sanya Haitang Bay In-Port Race begins at 1400 local time (0600 GMT/UTC) on Saturday with the leg start to Auckland beginning at the same time on the Sunday.